Monday seems to have made it’s way back round again, but the sunshine made it that little bit more bearable! Regular readers will know that I don’t usually post outfits during the week, but the sun was just about to set when I got home from work this evening so I grabbed the bull by the horns and snapped some shots with Dan. 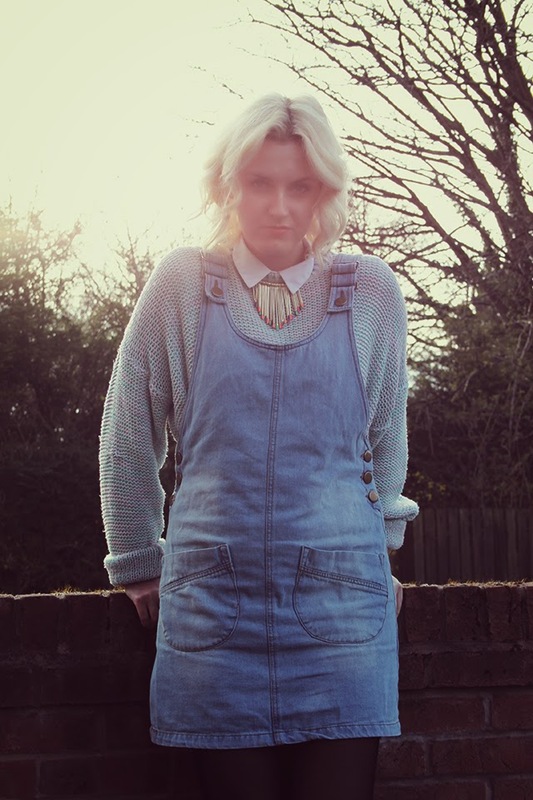 I wore this outfit for work today, as it’s pretty relaxed where I work when it comes to what you wear. 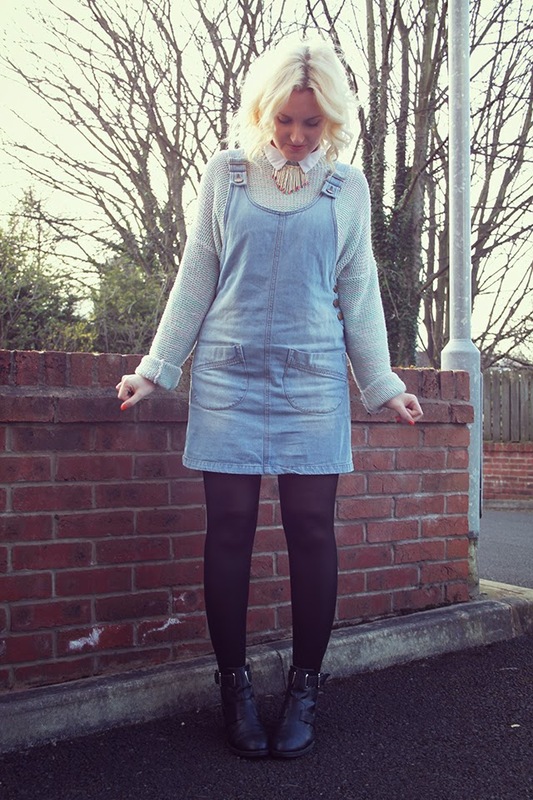 I always try to pick something smart/casual and comfy, so my new Primark denim pinafore was perfect for this! 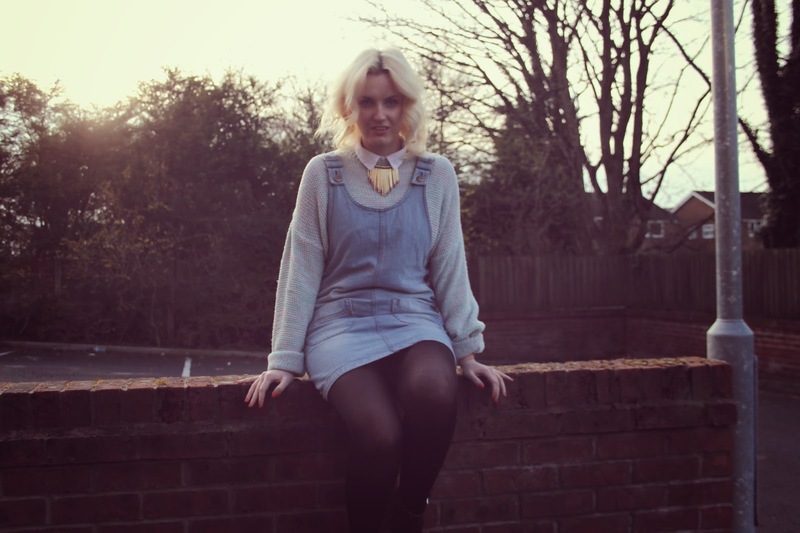 I wore the dress over one of my favourite (and rather battered/well loved) jumper and blouse combos, along with a beautiful necklace from one of my lovely sponsors, Molly & Pearl. 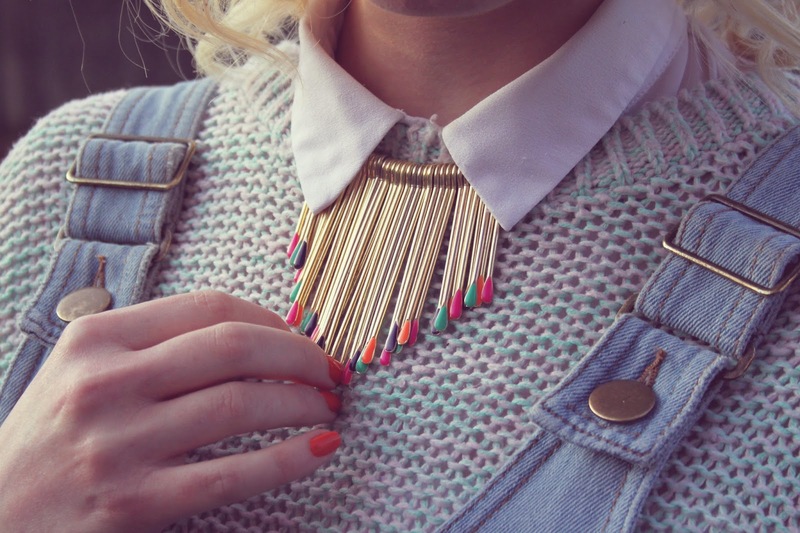 It’s such an unusual necklace, with gold stems pointing downwards, each tipped with a little splash of colour. They remind me of little match sticks! 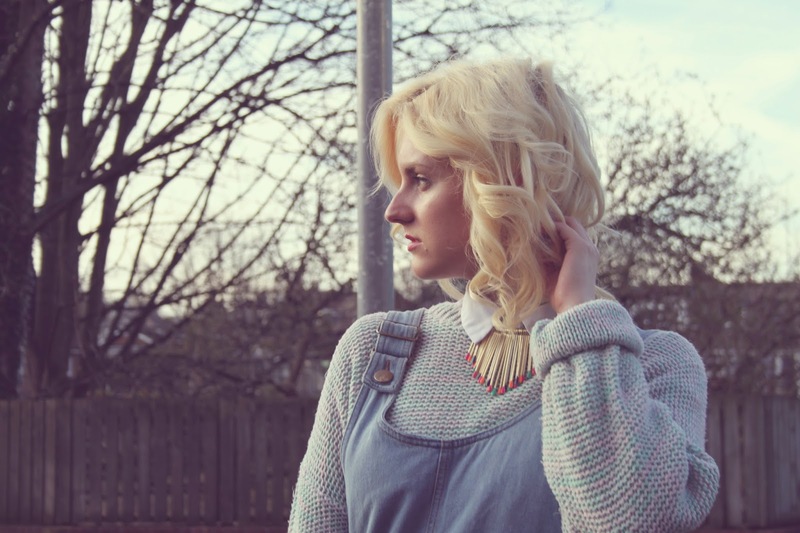 Molly & Pearl stock lots of one off pieces including necklaces, rings and earrings, aswell as some lovely fashion scarves. There’s also 15% off all orders when you enter the code BLOG15 at the checkout! In other news, the winner of my Special K giveaway has now been announced! Head over to the giveaway post to find out who the lucky winner was! This looks really cosy with the layering. 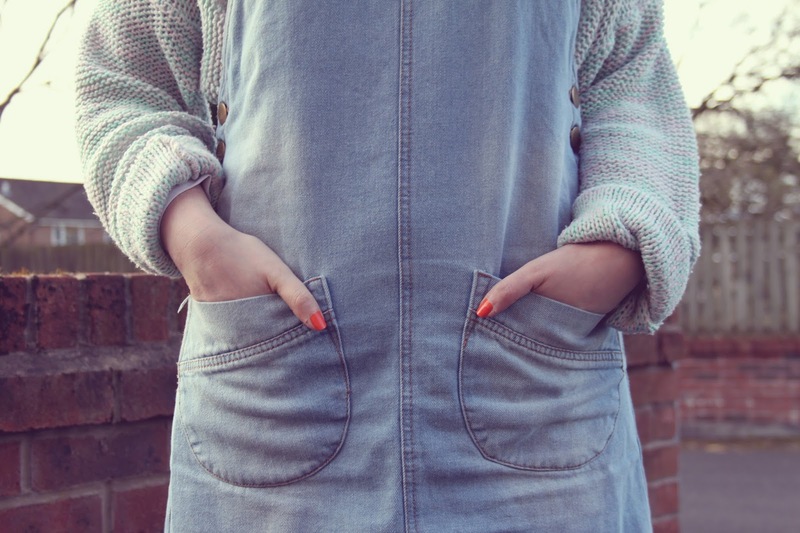 Such a cute dress, I love anything denim, haha. 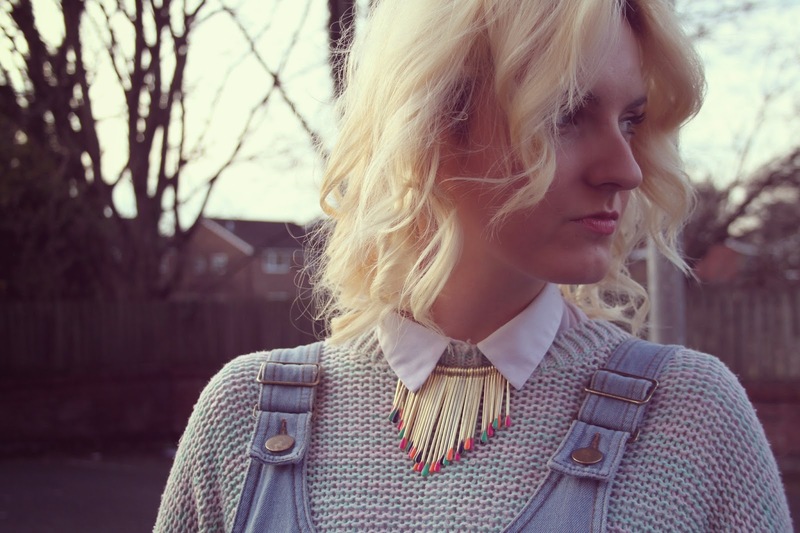 I really love how you've worn it over a knitted jumper so it's not just restricted to summer wearing, looks great! That dress is so adorable and love the way you styled it!